Wheat allergy tops the charts as one of the top eight food allergens in the United States. Most allergic reactions occur from ingestion of wheat but reactions may occur when wheat flour is inhaled. Age – Infants and toddlers are at higher risk for having wheat allergy while their immune and digestive systems are immature. Most children eventually outgrow a wheat allergy. Family History – If close relatives including parents or siblings have allergies in general, a person may be at higher risk for developing a wheat allergy. 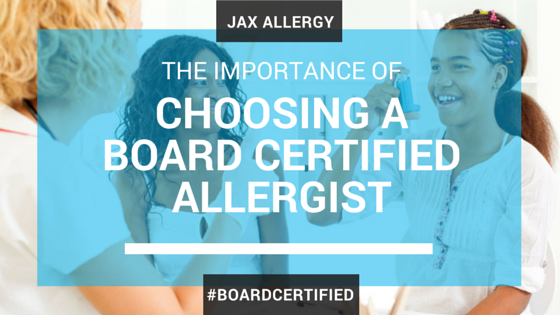 This includes a family history of food allergy, hay fever, asthma, or other allergy. Wheat allergies occur when your immune system reacts to the proteins present in wheat. When a person has wheat allergy, their body sees wheat as a threat and sends antibodies to attack it. This response may cause allergic reactions including potential life-threatening reactions. Allergic reactions to wheat can range from mild to severe. For reactions leading to anaphylaxis, a life-threatening allergic reaction, immediate medical attention is needed. Severe wheat allergies may cause anaphylaxis, which causes your throat swell and sends your body into shock. Anaphylaxis is life-threatening and medical attention should be sought immediately. If you suspect you or a family member has a wheat allergy, consult an allergy specialist for a complete diagnosis. An allergy specialist will ask about symptoms and your family history to determine if allergies are common in your bloodline. To diagnose an immediate wheat allergy versus celiac disease or non-celiac gluten sensitivity, your allergist will perform diagnostic tests. This may include a skin-prick test, blood test, or both. Is Celiac Disease the Same as a Wheat Allergy? No, celiac disease is not the same thing as a wheat allergy. Celiac disease is an autoimmune disease and is not a food allergy or intolerance. When individuals with celiac disease eat gluten, the lining of their small intestine can become inflamed and damaged which interferes with their absorption of nutrients from food. Other parts of the body may be affected as well. If you or a family member is diagnosed with a wheat allergy, the best way to avoid allergic reactions is by adhering to a strict wheat-free diet. This is not an exhaustive list. Before beginning a modified diet, check with your allergy specialist to confirm if you have a wheat allergy. If allergy tests confirm a wheat allergy, talk to your allergist for a full list of foods and ingredients containing wheat. Common allergy medications such as antihistamines and corticosteroids can treat mild symptoms of wheat allergy. Anaphylaxis is a serious symptom which can be life-threatening if not treated immediately. This can be experienced within seconds or minutes of consuming wheat. Anaphylaxis should always be treated with injectable epinephrine. Those diagnosed with a wheat allergy are often prescribed epinephrine by their doctor. If you accidentally consume wheat and symptoms of anaphylaxis emerge, you or someone nearby should administer epinephrine. Always call 911 immediately after epinephrine is administered. If you think you or a family member are experiencing a wheat allergy, don’t wait. Be sure to speak with an allergy specialist and schedule a test to confirm if you have a wheat allergy or other food allergy.